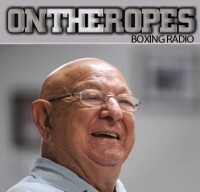 Danny O’Connor: “I know what it is to be knocked out. I have come back from it and it makes me a better me! Light welterweight contender Danny O’Connor is riding high on a 4 fight winning streak and is moving in position for a world title shot. The resurgence in his career comes after 2015 rematch loss to Gabrial Bracero, a fight that saw O’Connor knocked out in just one round. The rise up the ranks and his most recent wins have shown that not only is Danny O’Connor back, but he might be better than ever. 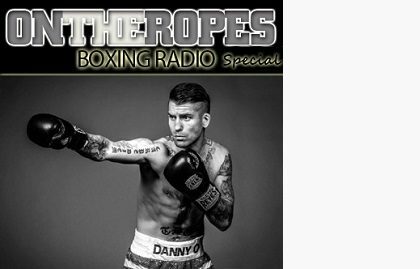 In this “On The Ropes” boxing radio special, Danny O’Connor speaks on his most recent win in the ring and talks about his comeback in the sport. 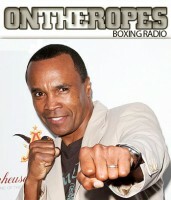 Danny also speaks on his championship goals and talks about how far he thinks he is from a world title shot. Additionally, O’Connor shares his thoughts on some of the fighters in his division and talks about who he wants to fight. Here is what Danny O’Connor had to say. Jenna J: You’re coming off of a successful title defense, can you talk a little about your performance? Danny O’Connor: I was very happy with the performance. I’m a perfectionist, so there were some things that I thought could have had improvements. There’s always something I’m going to bring back to the drawing board to try to improve for next time out. I thought overall it was a good performance. It was more of a personal victory for me because it was definitely a step up fight. I had been asking for a bigger fight, I wanted a step up fight and that was the biggest fight I could get at this time. I could have taken an easier fight but I didn’t want it, I wanted a step up fight. In the past, every time I had been at that point in my career of a step up fight, I came up short. 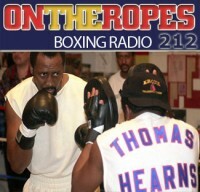 Bracero back in my 14th fight and Vivian Harris. Each time I had that opportunity to step up to kind of reach a different level in the sport, I came up short. To be able to win that step up fight and to look good doing it and be able to perform at that level, it was a personal victory for me, my team and my family. I’m very grateful for the way the night turned out for me. Jenna J: How far off do you see yourself from getting a world title shot? Danny O’Connor: I don’t have the answer to that question. If I was offered a title fight now, I would take it. That’s what I’m in this sport for, I’m in this to be the best that I possibly can be and to fight the biggest names in the sport and reach that elite level in the sport of boxing. Those are dreams that I’ve had my whole life, the number one dream is to be a world champ and hold a legitimate world championship. That has been the dream since I put on a pair of gloves. That’s what’s on my radar and that’s what I want. Taking this step up fight, I’m hoping this puts me in a position to have that opportunity and bring a world championship belt back to Massachusetts. It’s a goal I’ve always had and it’s something I’m working hard to achieve. Jenna J: What’s it been like coming back from that knockout loss to Bracero? Danny O’Connor: That night it didn’t work out the way I wanted it to work out but it worked out for me in other ways. Being able to come back from a loss like that, especially from someone who had already beat you, that showed me a lot of who I was as a person and being able to overcome that adversity and having that resiliency to come back. It’s all how you view the situation, the situation is not negative or positive, it’s how you view it. If you view it in a negative way, yeah I got knocked out and I didn’t go to the next step, but what are the positives from that? I always wondered what it would be like to get knocked out and it was always on the back of my mind and it probably to a little extent changed the way that I fought sometimes because I didn’t know what to expect. There was a fear of the unknown but now I know what it is to be knocked out, I have that experience and I know what it is. Being able to come back from that fight and come back stronger, it makes me a better me. I honestly can’t say what my mindset was, I was focused, was in shape and ready to fight, it was one of those situations where it wasn’t my night. Jenna J: Danny you have been calling out people on twitter. Who are you targeting out there? Danny O’Connor: Everyone who knows me knows that I’m a very humble guy and the last thing I like to do is talk but it seems like now a days it’s all about who is talking. I do think that sometimes in the sport you have to advocate for yourself. 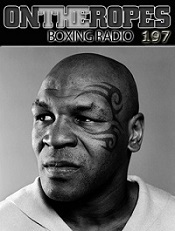 I don’t want to sit back and let stuff pass me by, I want those big named fights, someone like Mike Alvarado. I want those big name fights and that’s what I need to get to the next level. Yes, Claggett was a nice stepping stone fight, but I need a name, someone that people know, like Paul Malignaggi. I would have fought him but then he got cut and the fight got called off. I need a real good name that when I beat them it gives me some legitimacy in the sport. Unfortunately I’m not the only one fishing for those names, everybody is. You have to go out and advocate for yourself. Mike Alvarado blocked me on every social media outlet that there is, so I guess there’s no more calling him out. The bottom line is I’m looking for a big fight, I’ve invested my whole life into this sport and I want to know how far I can go and I want the chance to do that. We’re shooting for the stars, it’s just a matter of setting it up and locking it down and getting that chance at something big. Trust me, when that chance comes, I will be ready to step through that door and succeed in that opportunity because I’ve been waiting my whole life for it. 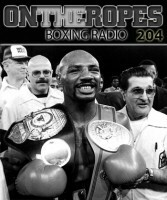 3 Responses to "Danny O’Connor: “I know what it is to be knocked out. I have come back from it and it makes me a better me!" Danny has a world title shot now and with his mind set I don’t doubt he can win a belt. This guy got his title shot, and then he crashed and burned on the scales. I don’t know if he gets another. O’Connor just got saved from getting knocked out cold, worldwide on ESPN.